This post is going to be very difficult for me to write, because I’m forced to stare at these pancakes over and over again, and when something that beautiful is staring you right in the face, and their memory is so fresh in your mind (aka yesterday’s breakfast) it is very difficult to think straight. Twice now I’ve caught myself just staring at them. Heat your skillet to a medium heat. In another bowl, combine all wet ingredients and add to the dry, mixing until just combined. Stir in blueberries. 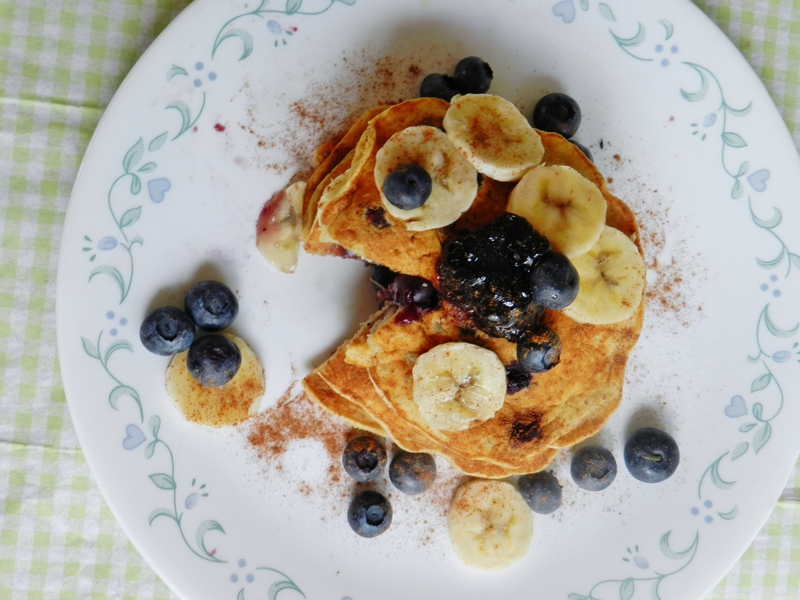 Grease your skillet, then spoon on the batter, making medium-small pancakes. When bubbles start to form and the edges look cooked, flip. Cook until lightly browned. 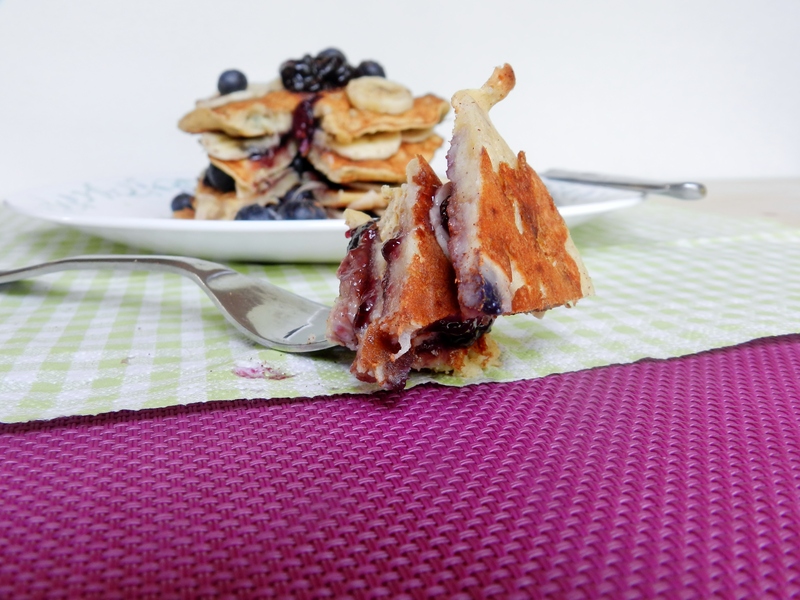 Spread banana slices and blueberry jam on one pancake, top with a second and repeat until you have a stack that’s four pancakes high. 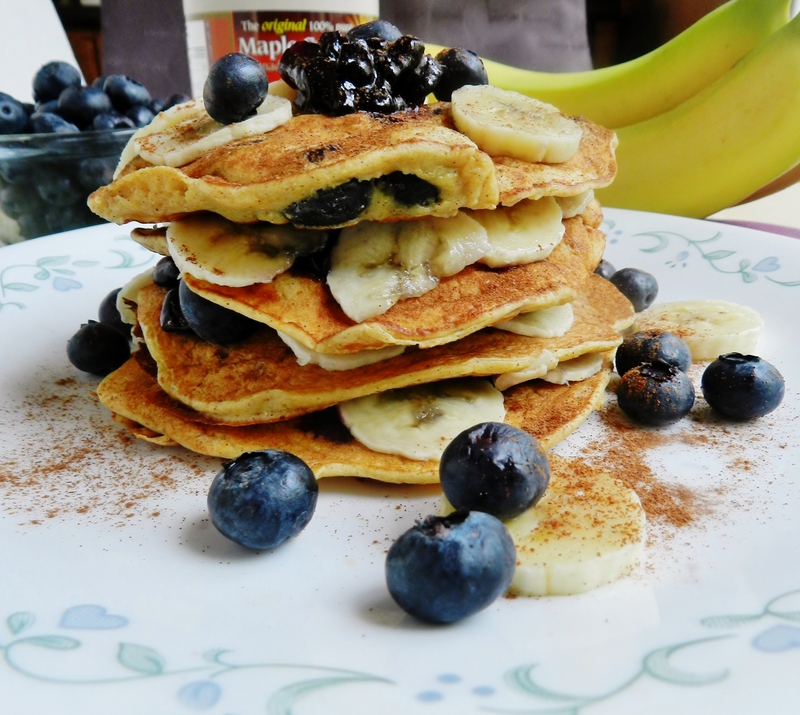 Top the stack with more banana slices, fresh blueberries, blueberry jam, cinnamon and yogurt, if desired. 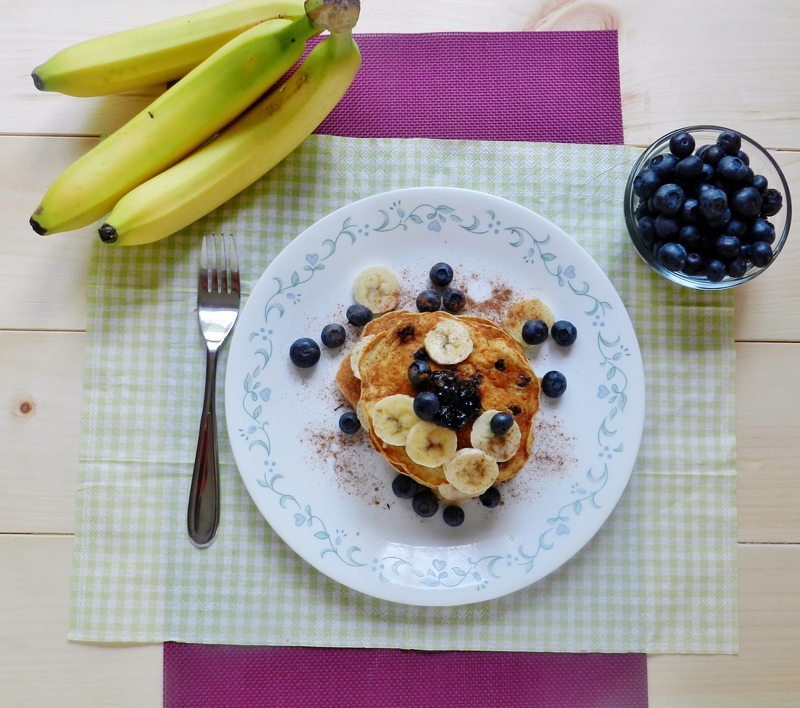 Have you ever used chickpea flour? 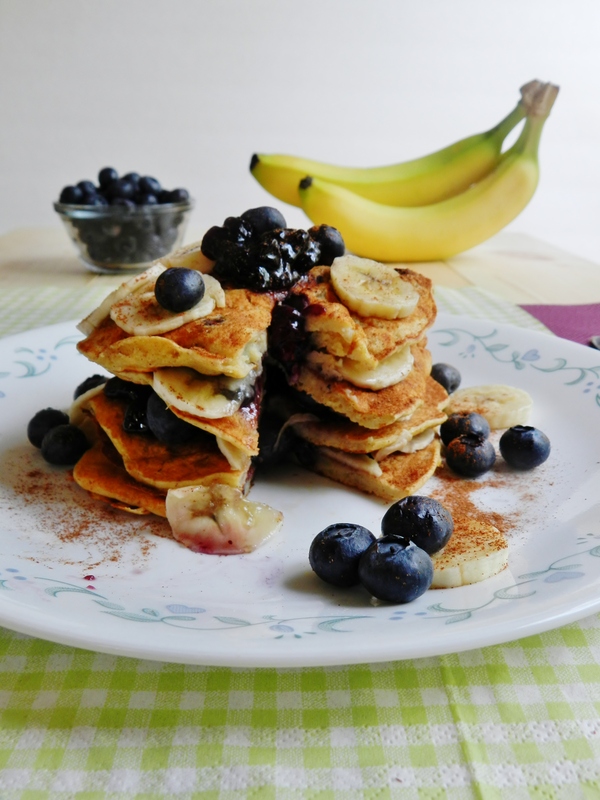 What’s your favourite kind of pancake? 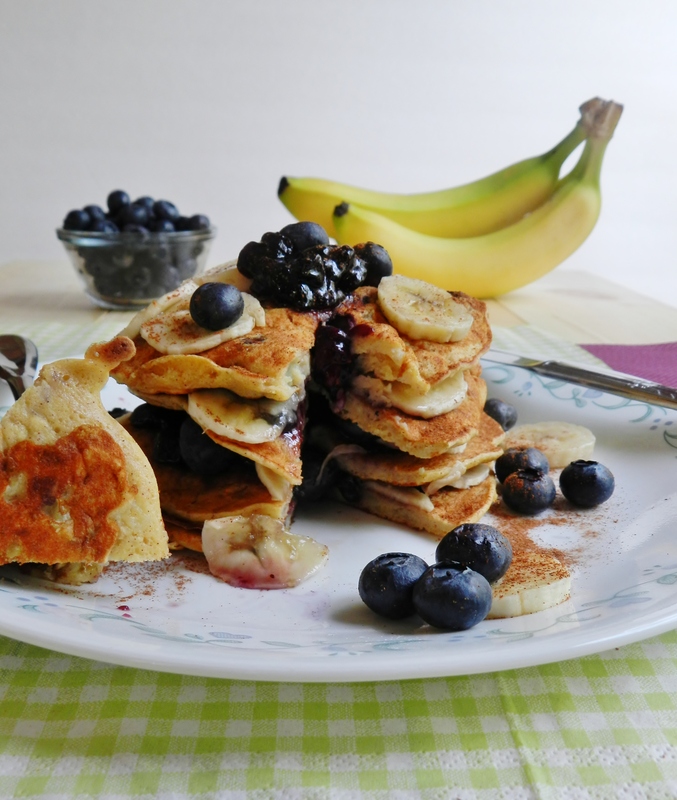 Posted in Uncategorized and tagged banana, blueberry, breakfast, chickpea flour, dairy free, gluten free, healthy, pancakes, vegetarian. Bookmark the permalink. 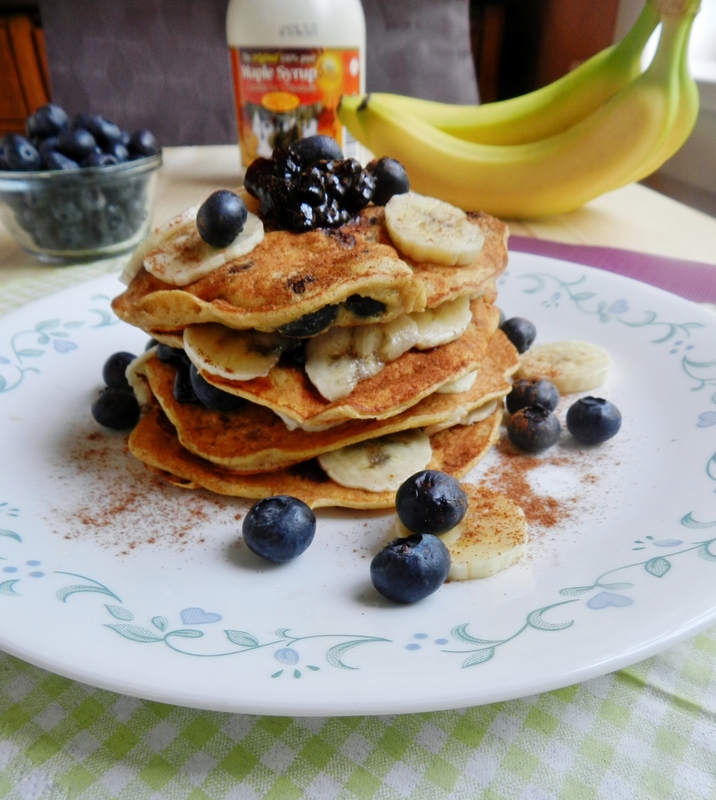 I made these with frozen, (steamed) butternut squash, because I didn’t have a banana on hand, and they were great. I’m sure pumpkin would be great too. Just adjust wet/dry as needed. Mine were a bit too wet, but still great. I made vegan version with chia “egg”. All great suggestions! We’re glad you enjoyed them! Where do you get chickpea flour? I live in the country…can you get it on-line? Yes you can get it on Iherb (http://www.iherb.com/), we got ours, however, at the Bulk Barn. Most bulk stores carry it, I think! Yum! 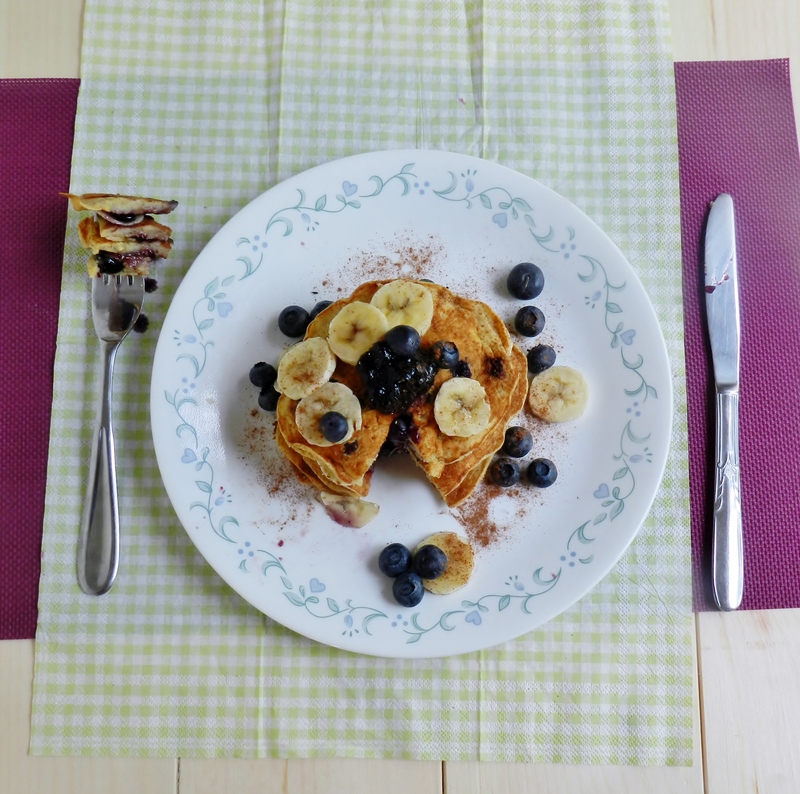 I’m making these for a gluten-free friend, but don’t have any maple syrup. What do you recommend as a sweet topping instead? Thank you! my daughter and I eat them plain and they are super yummy! I bet these were amazing! I love all the protein – I’ll have to try these out.